When spiritual gifts are properly used, they help everyone in the church. Much of the controversy over spiritual gifts today comes from the vacuum that has been created because the gifts have been abused in some Christian circles (strikingly similar to the Corinthian problems), while at the same time they have been almost completely ignored in other Christian groups. The gift of speaking in unknown tongues was a concern in the Corinthian church. The use of the gift had caused disorder in worship. Apparently, the Corinthians had a knack for turning even good gifts into divisive issues. Speaking in tongues is one of the legitimate gifts of the Holy Spirit, but the Corinthian believers were using it as a sign of spiritual superiority rather than as a means for giving spiritual unity. The “greater gifts” or “special abilities” that Paul wanted the Corinthians to seek were those that edified the church. The gift of prophecy (see also 12:10) had not so much to do with predicting future events as it had to do with bringing some message from God under the direction of the Holy Spirit to the body of believers. This gift provides insight, warning, correction, and encouragement (see 14:3). The Corinthians were eager for gifts, especially tongues, but Paul wanted them to be eager for the gifts that edify—namely, prophecy. The Reformers (Calvin, Luther) believed that sermons are the exercise of the gift of prophecy. Other scholars say that “prophecy,” as used here by Paul, means spontaneous, Spirit-inspired messages that are orally delivered in the congregation for the edification and encouragement of the body of Christ. 14:2 For if your gift is the ability to speak in tongues, you will be talking to God but not to people, since they won’t be able to understand you. You will be speaking by the power of the Spirit, but it will all be mysterious.NLT The gift of prophecy should be desired more than the gift of tongues because the ability to speak in tongues does not help other people since they won’t be able to understand you. The “tongues” mentioned are not earthly languages (such as the gift described in Acts 2:4-12). Instead, this refers to an “ecstatic” or heavenly language, unknown to the speaker or to anyone else. Through this special gift, the believer talks to God but not to people; talking to God primarily involves prayer and praise. Because “tongues” is a true spiritual gift, the speaker is speaking by the power of the Spirit, but the words cannot be understood—it will all be mysterious. As wonderful as this gift is, Paul wanted the Corinthian believers, in particular, to stop overemphasizing it. They needed to keep its value in perspective. Paul’s goal, as always, was the unity and edification of all the believers. The gift of speaking in tongues is a spiritual gift from the Holy Spirit (12:28; 14:2, 39). Speaking in tongues is a desirable gift, but it is not a requirement of salvation or of being filled with the Spirit (12:30-31). The gift of tongues is less important than prophecy and teaching (14:4). The gift of tongues must be accompanied by some rules regarding its best use in public settings (14:26-28). 14:3-4 But one who prophesies is helping others grow in the Lord, encouraging and comforting them. A person who speaks in tongues is strengthened personally in the Lord, but one who speaks a word of prophecy strengthens the entire church.NLT Although Paul himself spoke in tongues (14:18), he stressed prophecy because it benefits the whole church. In context, speaking in tongues primarily benefits the speaker. Public worship must be understandable and edifying to the whole church. The purpose of “prophecy” is helping others grow in the Lord, encouraging and comforting them, and the one who speaks a word of prophecy strengthens the entire church. Through prophecy, believers are taught more about the Lord and their faith so they can grow as a body. The person who speaks in tongues, however, is strengthened personally in the Lord. Such personal edification is truly a blessing for the one who has received this gift, but a person who prays in a tongue for personal edification should not be doing so in public worship because, while it strengthens him or her, it does not strengthen anyone else. Paul would give some guidelines for the use of tongues in public worship later in this chapter. 1. Studious or ignorant neglect—the subject of spiritual gifts is avoided or simply unknown. 2. Rejection by historical limitation—the teaching that spiritual gifts only functioned during the apostolic age and ended with the writing of the New Testament. 3. Emphatic approval—spiritual gifts are central to Christian experience, sometimes even insisting the presence of a single gift (i.e. tongues) as the mark of genuine belief. 4. Cautious acceptance—seeking to avoid the problems described in Scripture while at the same time acknowledging the Holy Spirit’s freedom and power to act within the church and through Christians. The first three approaches fail to take Scripture seriously. Each makes a judgment about spiritual gifts that is ultimately based on issues outside of the Bible. These are issues that each church must deal with in order to ensure orderly worship. But they are best handled by being open and not limiting the Holy Spirit’s work. Keep open to other Christians who regard tongues differently than you do. 14:5 I wish you all had the gift of speaking in tongues, but even more I wish you were all able to prophesy. For prophecy is a greater and more useful gift than speaking in tongues, unless someone interprets what you are saying so that the whole church can get some good out of it.NLT Paul never wrote disparagingly of the gift of tongues, only the Corinthians’ overemphasis of it. In fact, he even wished that they all had the gift of speaking in tongues, for the gift has great value for individuals in their private communication with God. But the issue at hand was that the Corinthian believers were seeking that gift above all others, when other gifts were actually more helpful to the church as a whole. Repeating his emphasis in 14:1, Paul stated that prophecy is a greater and more useful gift than speaking in tongues. The one who prophesies helps others to grow and encourages and comforts them (14:3). The one speaking in tongues realizes a wonderful relationship with the Lord but has edified no one else unless someone interprets what has been said so that the whole church can get some good out of it. (For more on interpretation, see 12:30; 14:13, 22-25.) With interpretation, therefore, the gift of tongues can edify the church. Apparently, the Corinthian believers were exhibiting the gift of tongues in public worship without interpretation, and that was helping no one. Paul’s words to the Corinthians about tongues and prophecy have much to say to our generation. Many Christians struggle with the discussion of tongues. Paul would clearly say that no one should put down those Christians who speak in tongues, and those who speak in tongues should not disparage those who do not. Believers need unity and love. The enemy is not each other but the sinful world, Satan, and our selfish, sinful desires. But Paul would have another word for today: “I wish you were all able to prophesy.” Paul would encourage us to be so in tune with the Spirit that his messages of comfort, encouragement, and edification would be heard in our congregations today. Make sure your actions are encouraging and edifying. 14:6 Dear brothers and sisters, if I should come to you talking in an unknown language, how would that help you? But if I bring you some revelation or some special knowledge or some prophecy or some teaching—that is what will help you.NLT In Corinth, the gift of tongues was being used as a barometer of spirituality. Therefore, Paul described the natural inferiority of a gift that does not edify. For example, if, on his next visit to the Corinthian church, he should come . . . talking in an unknown language, would that help the young church grow in Christ? Would the believers be edified, encouraged, or comforted? Obviously not. However, if he were to come to them with some revelation, special knowledge, prophecy, or teaching, then any one of those would be helpful to them. What Paul meant specifically by each of these words is unknown. He probably was not referring to four different types of information given by speaking but to various names of the speaking done with the help of the Spirit for the benefit of the believers. The common factor is that all of these, to be helpful, would have to be done in a language understood by the hearers. 14:7 Even in the case of lifeless things that make sounds, such as the flute or harp, how will anyone know what tune is being played unless there is a distinction in the notes?NIV Paul argued his point with three different pictures. First, musical instruments, such as the flute or harp, make only noise if no one can distinguish the tune or a distinction in the notes. If an instrument is to make beautiful sounds that benefit the listener, the sounds must make sense. Paul confronted the self-oriented use of the gift of tongues. Spiritual people must be careful not to pursue self-development at the expense of broken, lost people. Giving too much attention to our own needs, ideas, and spiritual expression, we may push aside the Spirit’s true desire and abandon those who need encouragement. Follow Paul’s advice and make encouraging and edifying others the highest goal. 14:9 And it’s the same for you. If you talk to people in a language they don’t understand, how will they know what you mean? You might as well be talking to an empty room.NLT People from many lands converged in a busy city like Corinth. The residents were certainly familiar with foreigners who could not speak their language. As mere sounds mean nothing without some sort of plan and pattern of understanding (14:7-8), so human language, when not understood, accomplishes nothing. Trying to communicate in a language to a person who does not understand it would be talking to an empty room. Whatever is said would not benefit the hearer at all because he or she would not be able to understand the words. The language would be no more than noise to the hearers. 14:10-12 Undoubtedly there are all sorts of languages in the world, yet none of them is without meaning. If then I do not grasp the meaning of what someone is saying, I am a foreigner to the speaker, and he is a foreigner to me. So it is with you. Since you are eager to have spiritual gifts, try to excel in gifts that build up the church.NIV Just because someone doesn’t understand a certain language doesn’t mean that the language has no meaning. In fact, there are all sorts of languages in the world, and all of them have meaning. But when two people who speak different languages attempt to communicate, one is not be able to grasp the meaning of what the other is trying to say. They are foreigners to each other. So it is with you, concluded Paul. Just as two foreigners cannot understand each other’s language, so those speaking in tongues cannot be understood by the congregation. Thus, their speaking is not beneficial to the church. Because the Corinthians had been so eager to have spiritual gifts, Paul admonished them to try to excel in gifts that build up the church (see Ephesians 4:12). Paul was speaking to the church as a whole, not to individuals. The literal translation of 14:12 is, “since zealots you are of spiritual things, be zealous that you may abound in the edification of the church.” The church as a whole should strive to have the gifts that build up its members. It should support those who serve in those capacities, and it should redirect its zeal from a desire to speak in tongues to a desire to serve the Lord in the best way that will build up the church. No one should seek merely the personal experience. God does not give us gifts for private, selfish use. The gifts are for helping others. 14:13-14 So anyone who has the gift of speaking in tongues should pray also for the gift of interpretation in order to tell people plainly what has been said. For if I pray in tongues, my spirit is praying, but I don’t understand what I am saying.NLT The simple conclusion to the matter is that anyone who has the gift of speaking in tongues should pray also for the gift of interpretation of what he or she says in the unknown language. Up to this point, Paul had been explaining that the gift of speaking in tongues was of no value to the congregation as a whole, only to the person who speaks to God in the unknown tongue. But if the person also has the gift of interpretation, the tongue could be used in public worship if the one praying (or someone else with the gift of interpretation) would then interpret in order to tell people plainly what has been said. That way, the entire church would be edified by this gift. Paul intimates in 14:2 and 14:4 that the gift of speaking in tongues provides a person with glorious communion with God. Most likely, however, this communion results not from understanding what the person is saying but from drawing closer to God through the power of the Spirit. Yet the person who prays that way is not expected to then be able to interpret his or her own words immediately. Paul wrote, if I pray in tongues, my spirit is praying, but I don’t understand what I am saying. That is part of the mysterious beauty of this particular gift—it does not engage the intellect in order to use it. It is a gift filled with fervor and passion for the Lord. Yet even as the person prays, he or she does not understand his or her own words. The phrase “my spirit is praying” probably refers to both the spirit and the Spirit—the person’s inner spirit prays to and praises God with words given by the Holy Spirit. While the spiritual fervor of one speaking in tongues has merit, wrote Paul, this ought not be the end in itself. Fervor is important, but people’s minds must be engaged in order for them to be edified. This can only be done if the words prayed to God are interpreted for everyone else. Thus, the gift of interpretation is required when tongues are used in the assembly. 14:15 So what shall I do? I will pray with my spirit, but I will also pray with my mind; I will sing with my spirit, but I will also sing with my mind.NIV Paul states in 14:18 that he himself speaks in tongues, so he wrote in the first person here, including himself in this situation. His answer is that he will do both—he will pray and sing in tongues with his spirit, and he will pray and sing in his own language so as to also engage his mind. Praying in tongues was, for Paul, a practice that edified him even if he did not understand what he was saying. Praying with the spirit (see “spiritual songs,” Ephesians 5:19) may be charismatic singing in the Spirit or singing spontaneously to previously composed songs. In addition to that, however, he would pray and sing with his intellect and understanding in his own language—this would edify both himself and others. In praying and singing, both the mind and the spirit are to be fully engaged. When believers sing, they should also think about the meaning of the words. When they pour out their feelings to God in prayer, they should not turn off their capacity to think. True Christianity is neither barren intellectualism nor thoughtless emotionalism. (See also Ephesians 1:17-18; Philippians 1:9-11; and Colossians 1:9.) Paul may also have had in mind a private/public distinction. In his private prayers and singing, he could do so in tongues. In public, however, he would speak in Greek so that the congregation would understand and be edified. 14:16-17 If you are praising God with your spirit, how can one who finds himself among those who do not understand say “Amen” to your thanksgiving, since he does not know what you are saying?NRSV Paul just stated that he intended to continue to pray and sing in tongues (privately) and in his own language (publicly). The believers in Corinth should do the same. Those with the gift of tongues could continue to speak in tongues privately, but they needed to focus more on praying and singing in their own language in corporate worship. The reason is simple. If they were praising God with their spirits (meaning in an unknown tongue), how can one who finds himself among those who do not understand say “Amen” to [their] thanksgiving? “Those who do not understand” refers to the rest of the people in the congregation who do not have the gift of tongues or of interpretation; thus, they do not understand what is being said. These may be other believers or people interested in Christianity who have not yet made the commitment. Most likely this refers to other believers because only they would be able to “say ‘Amen'” to particular words of thanksgiving. To say “amen” means to agree with or endorse what has been said (1 Chronicles 16:36; Nehemiah 5:13; 8:6; Galatians 1:5; Ephesians 3:21). If the rest of the people in the congregation have no clue what a tongues-speaker has said, how can they express agreement with it? The effect of the thanksgiving is lost because no one has understood the words. Paul continued, You will be giving thanks very nicely, no doubt, but it doesn’t help the other people present.NLT The bottom line on the corporate use of a spiritual gift is that it should help the other people present. That is the purpose of corporate worship, and believers must be sensitive to one another in that context—keeping out anything that would interfere with spiritual growth. Certainly the one speaking in tongues is giving thanks very nicely, but what is needed in the assembly of believers is intelligibility. Only then are the rest of the listeners edified. Corporate worship is just that—corporate. As a unified body, the believers come together to praise God, offer thanks, and learn. If various individuals attempt to continue their own private edification by speaking in tongues without interpretation, they will do so at the expense of others. Instead, they should worship that way privately. In public worship, everyone should be able to understand and participate. 14:18-19 I thank God that I speak in tongues more than all of you. But in the church I would rather speak five intelligible words to instruct others than ten thousand words in a tongue.NIV Paul had been downplaying the value of tongues because of the Corinthian overemphasis on that particular gift, but he added that he himself had that gift. Paul used the gift consistently in private prayer, saying that he spoke in tongues more than all of the believers in Corinth. Up to this point in the letter, the Corinthians may have been thinking that Paul was putting down the gift of tongues because he did not possess it. Paul explained, however, that not only did he have the gift but that he used it more profitably than the rest of them. Then he pointed them back to the issue at hand—what was happening in the assembly. Paul understood the limitations of the gift of tongues when it came to edifying the body of believers. Instead of impressing people with the gift of tongues that he, like many of them, had received, Paul said that he would rather speak five intelligible words to instruct others than ten thousand words in a tongue because only words that are understood can instruct. The implication is that the believers in Corinth who were gifted with tongues should do the same. Just as musical instruments must sound each note in order for the music to be clear, so Paul says that words preached in the hearers’ language are more clear and helpful. There are many languages in the world (14:10), and people who speak different languages can rarely understand each other. It is the same with speaking in tongues. Although this gift is helpful to many people in private worship and in public worship with interpretation, Paul wrote that he would rather speak five words that his hearers can understand than ten thousand that they cannot (14:19). Paul’s argument confronts all Christians with basic questions: Do we pay attention in worship? Do we seek to be clear in what we say? Are we sensitive to making worship always understandable to others? 14:20 Dear brothers and sisters, don’t be childish in your understanding of these things. Be innocent as babies when it comes to evil, but be mature and wise in understanding matters of this kind.NLT In 3:1-3, Paul had explained to the Corinthian believers his concern that they were still “infants in the Christian life” (nlt) and had to be dealt with like little children. Here he once again reprimanded them for their wrong thinking regarding the use of the gift of tongues in the assembly of believers. He had explained how they should view that gift in 14:1-19, and here had written that they should not be childish in [their] understanding of these things, but, instead, they should be mature and wise in understanding matters of this kind. Children prefer excitement to instruction, but adults ought to know better. The Corinthians had been acting like children, enjoying the excitement that tongues offered in their assembly without realizing that they were obtaining no solid instruction from them. It is all right to be as innocent as babies when it comes to evil, but there is no place for constant immaturity in the Christian life. Believers are to be growing and maturing so that they can understand these issues for themselves and make wise decisions concerning them. 14:21 In the law it is written, “By people of strange tongues and by the lips of foreigners I will speak to this people; yet even then they will not listen to me,” says the Lord.NRSV Paul’s use of Scripture comes from Isaiah 28:11-12. He may have been adapting the passage or generalizing from it, since it is not an exact quote from either the Greek (Septuagint) nor the Hebrew text available at that time. He may have been quoting from another Greek text that no longer exists. Paul’s point in quoting this passage was to set up his conclusion in 14:23. The people in Isaiah’s time did not listen to the prophets who spoke in their language, and when people of other languages spoke to the Jews, they still did not listen. So Paul was saying that speaking in tongues will convince no one. Those outside the church who might enter and hear the Corinthian believers speaking in tongues (with no one to explain the meaning) would think that the Christians were crazy. That reaction would fulfill the Old Testament words that tongues will not draw unbelievers into the church. On the contrary, it will turn them away and leave them to judgment. Unbelievers need the gospel message spoken clearly and intelligibly, not tongues. 14:22 Tongues, then, are a sign, not for believers but for unbelievers; prophecy, however, is for believers, not for unbelievers.NIV The Corinthians argued that speaking in tongues was supposed to be a sign to unbelievers, as it was in Acts 2. But Paul argued that after speaking in tongues, believers were supposed to explain what was said and give the credit to God. The unsaved people would then be convinced of a spiritual reality and be motivated to look further into the Christian faith. This is one way to reach unbelievers, but clear communication of God’s message is better (14:5). Tongues are a sign for unbelievers in the same way that Old Testament signs were understood. 14:23 So if the whole church comes together and everyone speaks in tongues, and some who do not understand or some unbelievers come in, will they not say that you are out of your mind?NIV The way the Corinthians were speaking in tongues was helping no one. If the whole church comes together and everyone speaks in tongues, the result will be chaotic noise. (Such disorderliness may have been the case, considering Paul’s further instructions in 14:27-28.) Even if they were speaking one at a time, without interpretation of the words spoken, other believers who do not understand and unbelievers who come in will say that the Christians are out of their minds. They will not sound as though they are praising and praying, but rather one would think that they are all insane. This will edify no one, scare off unbelievers, and hurt the witness of the church. Unusual or unexpected spiritual events have a fascination all their own, but mere curiosity must be secondary to God’s purposes. God’s truth and power can be found in both the extraordinary and the ordinary. We don’t need to ask God to get our attention in some strange new way; instead, we need to ask for fresh attention to the amazing ways God has already made himself known. Instead of looking for something new, follow what God has clearly communicated to you. As they listen, their secret thoughts will be laid bare, and they will fall down on their knees and worship God, declaring, “God is really here among you.”NLT Having one’s secret thoughts . . . laid bare will lead both to conviction and condemnation. Obviously, the Corinthian believers would be far less convicted to have everyone speaking in tongues. They all would feel very spiritual, with no one having to face any sin. But when Spirit-inspired, intelligible words of truth are spoken, those who truly listen will find God right there among the congregation. His presence will be made known. The listeners will fall down on their knees and worship God (see Isaiah 45:14; Zechariah 8:23). And that is ultimately what the church should desire—to reach out and draw in the unbelievers, bringing them to saving faith in Jesus Christ and then helping them grow to maturity. Paul reviews the guidelines for tongues and prophecy as exercised in corporate worship. He restates the importance of everyone being able to understand, of orderliness, and of edifying each participant. 14:26 Well, my brothers and sisters, let’s summarize what I am saying. When you meet, one will sing, another will teach, another will tell some special revelation God has given, one will speak in an unknown language, while another will interpret what is said. But everything that is done must be useful to all and build them up in the Lord.NLT When believers meet, one will sing (an ability not mentioned in chapter 12 but a large part of worship going back to the Old Testament and the psalms; see also Ephesians 5:19; Colossians 3:16), another will teach (12:29; Romans 12:7; Colossians 3:16), another will tell some special revelation God has given (this could be an aspect of the gift of prophecy—12:10, 29; 13:2; 14:1), one will speak in an unknown language (12:10, 28, 30), while another will interpret (12:30). Everything done in worship services must be beneficial to the worshipers. Every worshiper ought to consider herself or himself a contributor. These principles touch every aspect—singing, preaching, and the exercise of spiritual gifts. Contributions to the service (by singing, speaking, reading, praying, playing instruments, giving) must have love as their chief motivation. As you prepare and participate in worship, seek to strengthen the faith of other believers. This verse is not to be taken as Paul’s recommendation of an order of service; his point is that various activities can happen in corporate worship. While all of this occurs, however, everything that is done must be useful to all and build them up in the Lord. Also, all believers should show love (chapter 13), and everything should edify (14:1-25). 14:27-28 If anyone speaks in a tongue, two—or at the most three—should speak, one at a time, and someone must interpret.NIV Because all activities done in corporate worship must be done to help and build up all the believers, Paul described how tongues can still be useful. He had already argued that tongues are not beneficial without interpretation (14:5) and certainly not when everyone is speaking at once (14:23). Tongues can be edifying to everyone, if a few simple rules are followed. First, if anyone in the congregation has the gift and can speak in a tongue, then only two—or at the most three—should speak, one at a time. In other words, not everyone with the gift of tongues should speak at every service—only two or three should speak. That Paul should have to say that they should speak “one at a time” seems to be a corrective—apparently they were not doing so. Not only were the Corinthians overemphasizing this gift, but they were allowing it to dominate their church gatherings. Thus, Paul corrected this error. In addition, the gift of tongues should not so dominate a person that he or she cannot control the impulse to speak. It was possible for the believers to exercise this gift in a controlled, appropriate, and orderly way. The believers who had come out of pagan cults certainly had witnessed the ecstatic mania often associated with pagan worship rites. The gifts given to believers were radically different than the demon-induced “religious” frenzy performed by those in the cults. The other stipulation for use of tongues in public worship is that someone must interpret. Either the person speaking can interpret for himself or herself (if he or she has the gift, see 14:13), or another person with that gift should interpret what was said into a known language (12:30; 14:26). Because there must be an interpreter, Paul continued: But if there is no one to interpret, let them be silent in church and speak to themselves and to God.NRSV If those with the gift of tongues know that they do not have the gift of interpretation, and if no one else in the congregation is known to have that gift, then they should be silent in church. Paul was not forbidding believers from using their gift, but instructing them to pray silently, speaking to themselves and to God. That way they would be blessed by the use of their gift, but they would not in any way hinder the assembly. 14:29 Two or three prophets should speak, and the others should weigh carefully what is said.NIV Having just explained certain regulations on the use of tongues in the assembly, Paul also placed regulations on prophetic speaking. Although this was the particular gift that Paul had recommended to the believers (14:1-5), he also realized that its use had to be regulated by love, edification, and order. Just as only two or three people should be allowed to speak in tongues (14:27-28), so only two or three prophets (those who have been given that gift, 12:10, 28-29; 13:2) should speak. It is unclear who the others are—they could be “others” who also have the gift but exercise it at that time, not by speaking but by weighing carefully what is said. Or “the others” could refer to the congregation as a whole, discussing a prophet’s words to make sure that they agreed with Scripture. People in the church should never accept the words of any person, gifted or not, without careful discernment and personal knowledge of God’s Word; otherwise, false teachers could easily obtain a hearing and lead people astray. 14:30-32 And if a revelation comes to someone who is sitting down, the first speaker should stop. For you can all prophesy in turn so that everyone may be instructed and encouraged. The spirits of prophets are subject to the control of prophets.NIV In order for the worship service to continue in an orderly manner (14:40), further guidelines were needed. These words might have been directed at those who would have a tendency to dominate. One who is speaking should willingly defer to another who has received a prophecy. That a revelation would come suddenly to a person describes this gift and its use in a worship service. It, too, could get out of control if the speakers were not careful to take turns and defer to one another as the Spirit leads each to speak. The phrase “for you can all prophesy” does not mean that everyone in the congregation has the gift of prophecy, but that those to whom the gift is given and to whom the Spirit gives a message must be allowed to speak in turn so that everyone may be instructed and encouraged (14:3-6). As always, the worship service should be for the edification of the believers. The phrase “the spirits of prophets are subject to the control of prophets” means that “the people who prophesy are in control of their spirit and can wait their turn” (nlt). In other words, this gift, like the gift of tongues, does not send people out of control, unable to stop their mouths. The message, given by the Spirit, is “subject” to the person’s spirit. He or she can control when to speak and when to defer to another. This gift could also be exercised in a controlled, appropriate, and orderly way. 14:33 For God is not a God of disorder but of peace, as in all the other churches.NLT The reason that the church service must be controlled and orderly is that God is not a God of disorder but of peace. In worship, everything must be done in harmony and with order. Even when the gifts of the Holy Spirit are being exercised, there is no excuse for disorder or disturbances. In order to please God in their worship, believers are not to be wild and out of control. Instead, they should be using their gifts in an appropriate manner, always seeking to edify others. To contradict God’s own character in worship does not honor him. When everyone in the Christian assembly is truly in tune with the Holy Spirit, there will not be disorder, but harmony and “peace” that pleases God and encourages his people. This was not Paul’s instruction for the Corinthian church alone; indeed, all the other churches must exhibit the character of the one they worship. When the Corinthians did so, they would be in line with what God expects of all his people. Paul stated that God is not a God of disorder but of peace. Note that the preferred alternative to disorder is “peace.” Too often, in resisting disorder, Christians have opted for rigid, predictable, and unvarying forms of worship in which God’s presence is as difficult to find as in disorderly gatherings. When there is chaos, the church is not allowing God to work among believers as he would like. Peaceful order should not, however, rule out God’s creativity, joy, and unpredictability. Do your part to have worship be a joyful, peaceful, winsome experience that draws people into it. In the Greek culture, women were discouraged from saying anything in public, and they were certainly not allowed to confront or question men publicly. Apparently, some of the women who had become Christians thought that their Christian freedom gave them the right to question the men in public worship. This was causing division in the church. In addition, women of that day did not receive formal religious education as did the men. The Greek word for “silent” used here is also used in 14:28, referring to the silence commanded on the one who desired to speak in tongues but without an interpreter present. Obviously, that did not mean that this person was never to speak in the church, only to remain silent when certain conditions were not met so that the church service would not be disrupted. The same Greek word is also used in 14:30 for the prophet who is asked to stop speaking (“be silent” in the Greek) when another has been given a revelation. Again, this obviously does not mean that the prophet was never to speak. This would negate his or her gift. Because women as well as men were gifted with tongues, interpretation, or prophecy, they would need to speak in order to exercise their gifts. The “speaking” to which Paul referred was the inappropriate asking of questions that would disrupt the worship service or take it on a tangent. Therefore, the women should be silent during the church meetings, not because they were never to speak, but because they were not to speak out with questions that would be ineffective in edifying the entire church. If they have any questions, says Paul, let them ask their husbands at home. That they should be submissive compares with Paul’s words in 11:7-12—to keep the believers in obedience with God’s commanded lines of authority (just as the law says). There is no clear reference to an Old Testament passage. Paul may have been referring to a generally accepted interpretation of Genesis 3:16. Apparently, the women believers in Corinth, newly freed in Christ to be able to learn and take part in worship, had been raising questions that could have been answered at home without disrupting the services. In this entire chapter, Paul had been dealing with various forms of disorder and confusion taking place in the Corinthian church in particular. His words are corrective. In this instance, Paul was asking the Corinthian women not to flaunt their Christian freedom during worship. The purpose of Paul’s words was to promote unity, not to teach about the role of women in the church. 14:36 Did the word of God originate with you? Or are you the only people it has reached?NIV This entire chapter corrects the Corinthian believers regarding their insistence on the gift of tongues as a sign of being “filled with the Spirit” and allowing it to overtake their church services. In their letter to Paul, they may even have questioned his spirituality since they had never heard him speak in tongues (hence his comment in 14:18). They have been guilty of taking off on a tangent and leaving the gospel behind. So Paul asked, sarcastically, Did the word of God originate with you? Or are you the only people it has reached? Were they the apostles? Were they the ones who learned directly from Jesus Christ? The answer is no. Then why did they think they could decide on their own what would constitute salvation and how they should worship? The Corinthian church was out of line with what was acceptable behavior in the churches (14:33), and they needed to make some changes. The Corinthians needed to recognize that all true believers are filled with the Spirit at the moment of salvation, and that they all will manifest different gifts. This variety was the strength of the church, for it provided them with all the necessary “parts” (as in a “body,” 12:12-31) in order to function properly. 14:37-38 Anyone who claims to be a prophet, or to have spiritual powers, must acknowledge that what I am writing to you is a command of the Lord. Anyone who does not recognize this is not to be recognized.NRSV The authority of Paul’s words was not to be questioned. As an apostle, Paul was writing a command of the Lord, and they all should treat his words as such. Any true prophet among them would acknowledge this; anyone who claimed to be a prophet but did not recognize Paul’s words as authoritative was not to be recognized. The lines of authority went from “apostles” to “prophets” (12:28). Paul was an apostle, so his authority was not to be questioned. Those who claimed to be “prophets” would prove it by their acceptance of Paul’s words. 14:39-40 So, dear brothers and sisters, be eager to prophesy, and don’t forbid speaking in tongues. But be sure that everything is done properly and in order.NLT With the words “dear brothers and sisters,” Paul closed his answers to their questions about worship on a friendly note. He truly loved these believers and sought to correct their errors so that they could continue to grow in the Lord and not be sidetracked by anything. 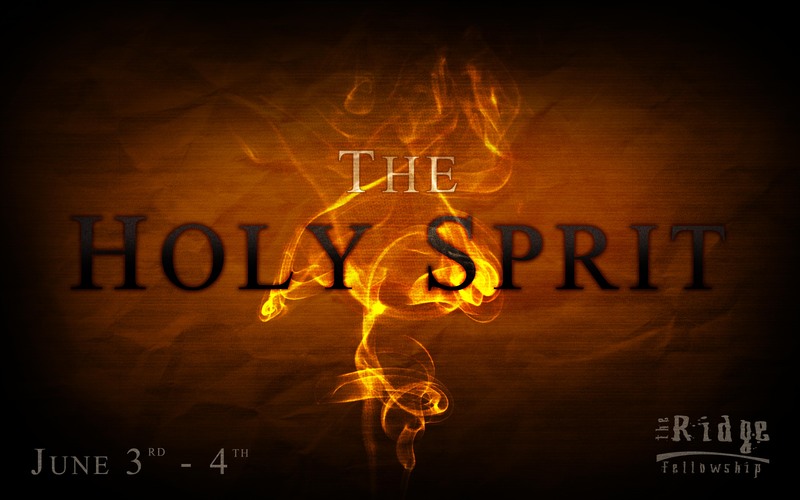 They were to be eager to prophesy (14:1) because that is the more powerful tool for the edification of the believers, but they should not forbid speaking in tongues because that is a bona fide gift of the Holy Spirit. They must be sure that everything is done properly and in order—and that would happen if they followed his instructions as outlined in this chapter. Worship services should be intelligible and marked by mutual respect and proper behavior. They should be organized in a way to enhance communication but not so as to stifle the spontaneous work of the Spirit. Paul urged the Corinthians to conduct their worship in an orderly way. Worship is vital to individuals and to the whole church. The quality of our worship forms a powerful expression of the reality of our conversion. Having been loved by God, we seek to love God back with our whole being. Our gatherings should be conducted in an orderly way so that we can worship, be taught, and be prepared to serve God. Believers should be encouraged to prepare for the expected in worship but also to anticipate God’s ability to do the unexpected. Those who are responsible for planning worship should make sure it has order and direction rather than chaos and confusion. Opportunity for the expression of many gifts should be included.